Solutions for HEIDENHAIN multipoint measuring stations: The modular MSE 1000 subsequent electronics for up to 250 measuring channels and ACANTO length gauges with a station width of just 15 mm. Modern measuring tasks demand special capabilities from measuring devices. Incorrect measurements must be avoided while evaluable additional data need to be available at every machining step. The HEIDENHAIN-ACANTO length gauge with its absolute position values and digital EnDat interface provides fast, accurate and reliable measurements. 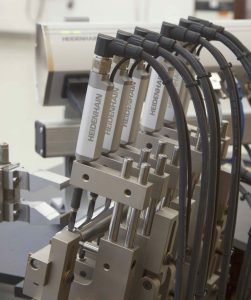 The HEIDENHAIN-ACANTO series of length gauges provides the absolute position value for each data request without needing a reference run. This rules out any measuring errors caused by excessive plunger velocities, such as bouncing, or strong vibration occurring on very dynamic measuring jobs with incremental encoders, for example in testing stations. 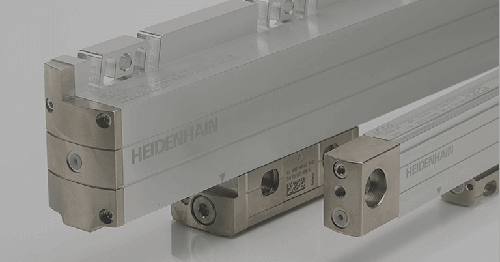 The HEIDENHAIN-ACANTO length gauge ascertains the absolute position value with a maximum error of ±1 µm in the version with 12 mm measuring range, and ±1.5 µm for 30 mm. • Valuation numbers supply data about the current state of the encoder. It therefore enables permanent monitoring of functional quality. • Warnings and alarms make it possible to find failed components. • Upon switch-on, the electronic ID plate immediately displays all of the encoder’s technical parameters of the encoder. This prevents any erroneous configuring of the evaluation electronics. The subsequent electronics can independently configure the signal period or measuring step with the transmitted information. Also, the EnDat 2.2 interface enables information to be written back to the length gauge. This provides immediate benefits to quality assurance and machine maintenance. With the aid of the diagnostic information, you can evaluate the quality of the measurement and, thanks to the valuation numbers, prevent unnecessary standstills in production. 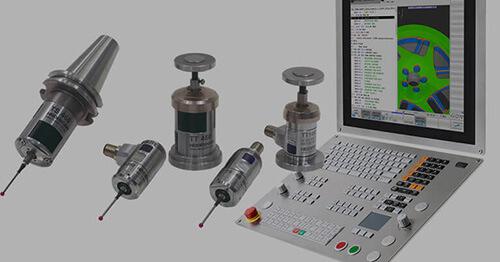 Online device monitoring for all machining steps and quality inspection steps providing information for quality assurance and machine maintenance. 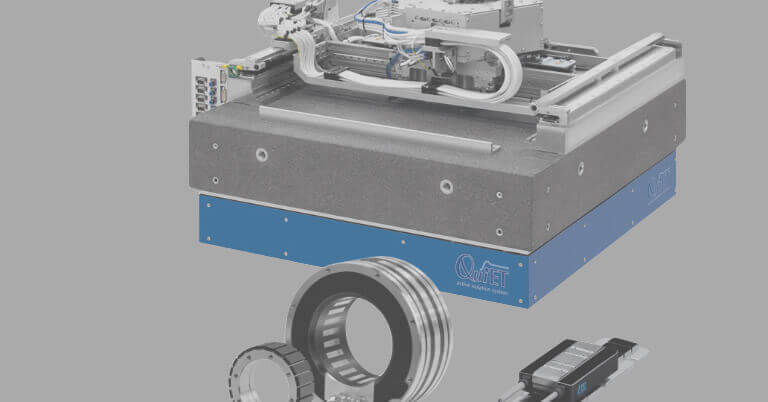 Numerous higher-level electronics permit the connection of EnDat encoders with their entire range of functions. 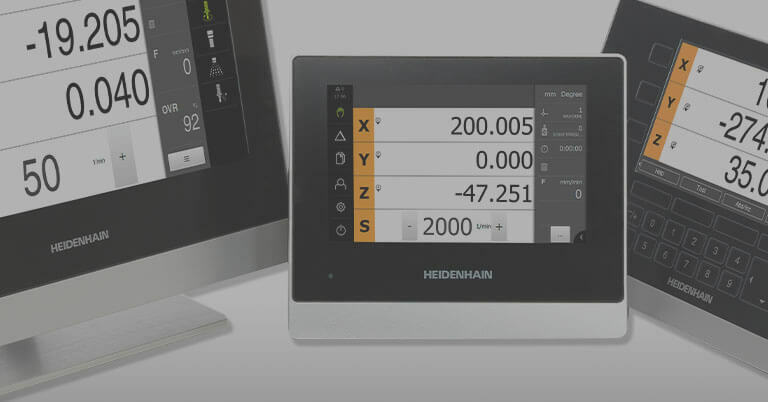 HEIDENHAIN-ACANTO length gauges can therefore be easily connected at their measuring stations over the interface electronics of various manufacturers such as BECKHOFF, B&R, ADDI-DATA, SEA and many more. All benefits provided by HEIDENHAIN-ACANTO length gauges are fully usable. Valuation numbers, warnings, alarms and the electronic ID label can all be displayed or sampled over the above-mentioned electronics. HEIDENHAIN also offers subsequent electronics. This includes, for example, the ND 2100 G GAGE-CHEK evaluation unit for up to eight measuring channels. It displays the values of the individual channels or evaluates them directly. 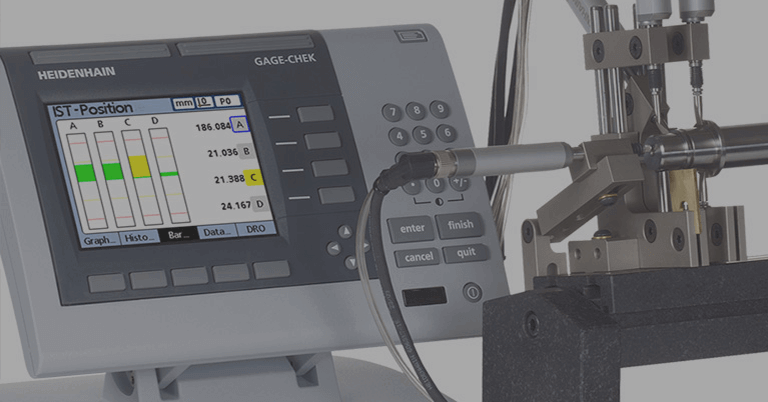 The ND 2100 G GAGE-CHEK can also carry out complex calculations through equations and comparisons. The software and hardware make it possible to save processes and responses and control switching inputs and outputs. 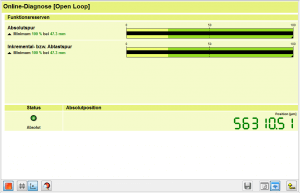 In this way, PLC functionality can be integrated into the evaluation electronics. Thanks to their small station width of only 15 mm, the ACANTO length gauges are particularly well suited for multipoint inspection apparatuses, ideally in combination with the HEIDENHAIN modular subsequent electronics MSE 1000. It enables the simultaneous measurement of up to 250 measurement channels of a wide variety of interfaces. 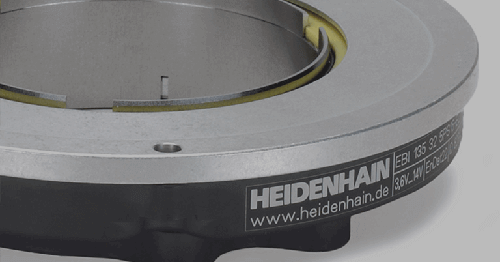 When designing the MSE 1000, HEIDENHAIN placed emphasis on simplicity in installing the modules and connection to the encoder. The modules can be mounted to DIN rails to achieve tidy and compact measuring stations. The selected system configuration of the modules is detected completely automatically and unnoticed by the user, who only needs to define and set the specific channels. In addition to a system configuration program, the MSE 1000 is delivered with a DLL library that allows users to develop their own testing programs. This makes it possible, for example, to store complex sequences for testing processes that, depending on the measurement results, may require further actions.